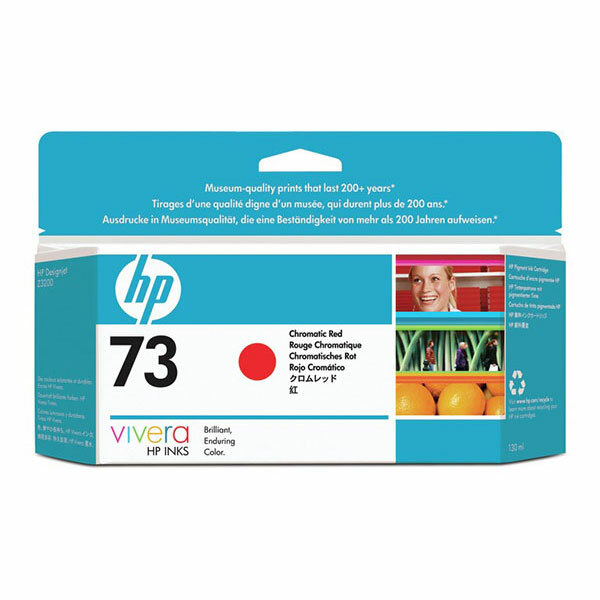 HP 73 (CD951A) Chromatic Red Original Ink Cartridge (130 ml). Print just what you envision.Then print it again confident you will get the same color, the same quality and long-lasting prints. It's no problem with HP printing supplies and HP Vivera pigment inks.Avoid the waste and rework and save time and money.